How to edit products using design theme? StoreHippo tries to make every process seamless for its clients. StoreHippo provides an effortless process to add products. 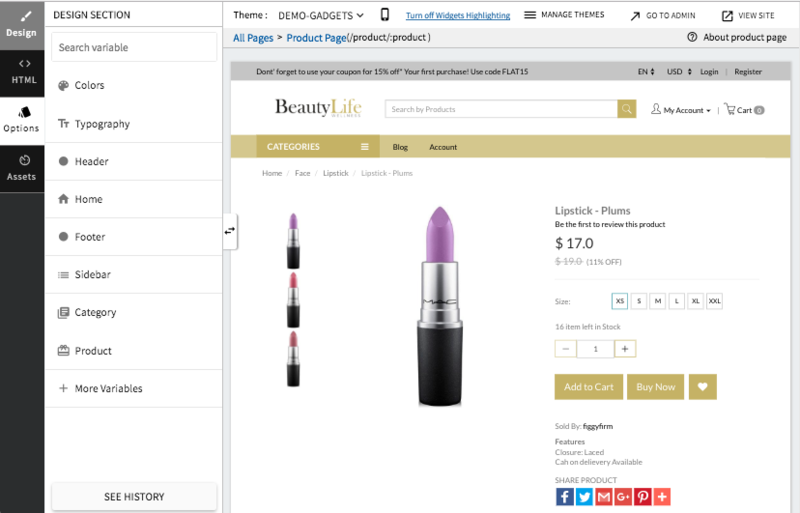 You can either add/edit products to your store using the admin panel as well as the design theme. Design theme lets you add and edit the products easily from the theme designer directly. 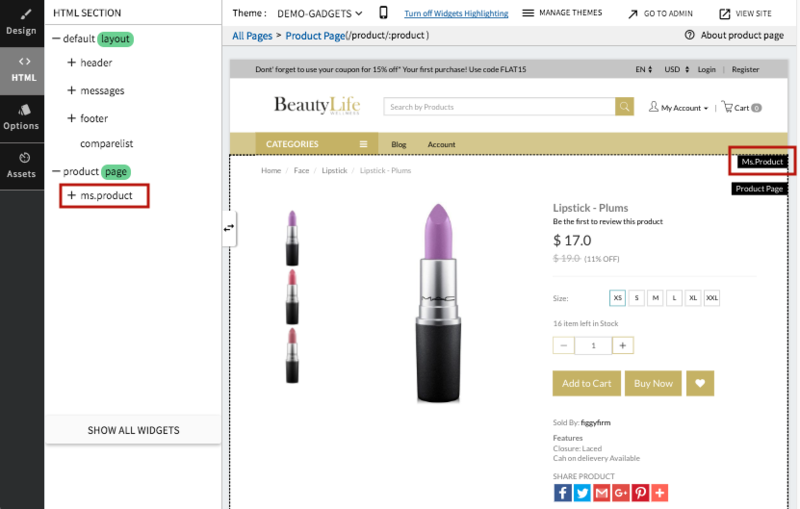 Open any product page in the design theme. 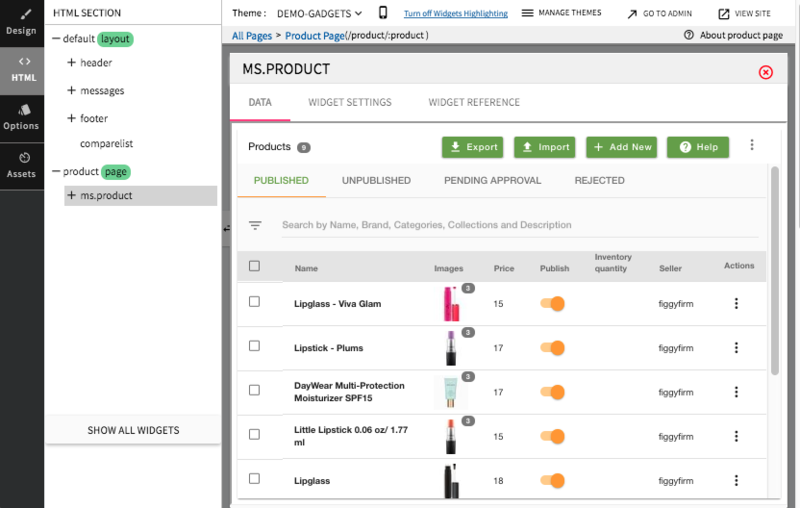 Go to HTML and click on the ms.products in the left panel or widget highlight. A tab listing all the products opens up. You can add new products or easily edit any product here. Click on Save to save the products. The product will be updated to your store.